The United Nations scientific panel on climate change recently issued a report that paints a much more dire picture of the immediate impacts of climate change than previously thought. Some of those impacts may be seen as early as 2040. As a coastal state, North Carolina is particularly vulnerable to the effects of sea level rise and has also experienced an increase in storm-driven flooding. Join us on Tuesday February 19th for a discussion on Environmental Resiliency. As engineers, consultants, and professionals who focus on the environment ? we have a unique perspective on how the environment is changing, and its impact on how we work with the built environment. 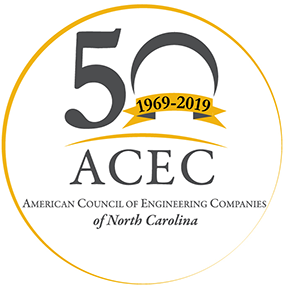 You will have the opportunity to hear from NCDEQ, Duke Energy, NCDOT, academia, and others, as we think about the changing environment, its ability to adapt, and tools that we can use to advance our profession. Deadline to register is Friday, February 8th. No refunds will be given after this date and any additional registrations will be charged a $25.00 late fee.